My OUTLANDER Purgatory: I've been LOST! I'll be back Wednesday with a Bree post for sure. 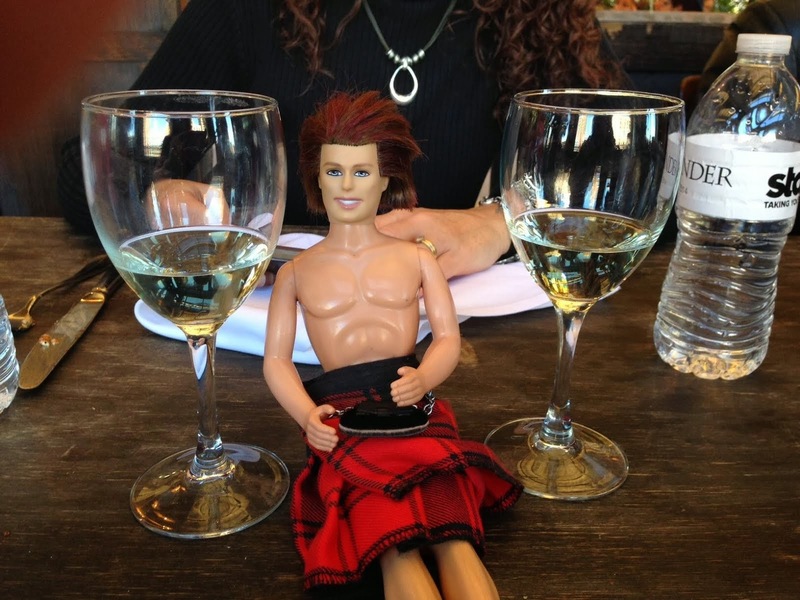 I've plenty to say, Lassies! Oh my goodness, I just watched Lost online, and I have no words! I hope the season lives up to its opener, because it was a doozie! SPOILER ALERT: Dinna read if you haven't watched the LOST season premiere! It was soooo good. Although I'm not thrilled about yet another unknown colony (the temple people; what's THAT all about??). And WHAT was with Mr. "English doesn't taste good on my tongue"?? WhatEV, dude! His John Lennon sidekick was borderline amusing. LOL Poor Juliet. And poor Sawyer. Who, by the way, is now being called James by EVERYONE, did you noticed that?? What did Juliet mean by "it worked"? I mean - I get it - it did work, in a weird way. But what's true and what's not? Current day LA... or the island? I'm a bit confused. Looking VERRA forward to next week! SPOILER ALERT: Details of this week's Lost will be discussed! Okay, so how cruel/awesome was it that they convincingly made us believe AND grieve that Juliet dies twice? Seriously! At least we know the Temple people will be explained soon since there's only one very short season left! I do think it has something to do with the good list (in season 2 when people from the other group of survivors kept disappearing); apparently there is more than one group of Others. I think the MOST shocking thing for me was when it was revealed that John is the smoke monster, not John come back to life. When did he become the smoke monster? And where is home? Intriguing....I too am on the edge of my seat and am totally intrigued by the parallel universe thing going on between the Island and present day L.A.
P.S. One reason I'm sad that Juliet is dead is because now the Jack-Kate-Sawyer love triangle will come back to life. I want Jack and Kate to end up together soooooooooo much! Hmmmm....is Boone back? Did the bomb fix everything? Apparently Shannon is alive again; does this mean alternate universe John is the real John while island real John is dead and being impersonated by smoke-monster John (too many Johns!)? Yes, I think it will be quite scary to watch Sawyer go off the deep end; it will also be interesting to see how Jack copes with his guilt (okay, okay, I admit, I'm a HUGE Jack fan!). Still soooooooo on the edge of my seat! I feel SO BAD for Jack. That poor man is suffering so much for what happened to Juliet. And he really kindof loved Juliet, didn't he? I bet you're right about Jack and Juliet. I'm thinking of the conversation they had where she told him that everyone who loved her ended up dead thanks to Ben. Which this is sort of thanks to Ben, isn't it?